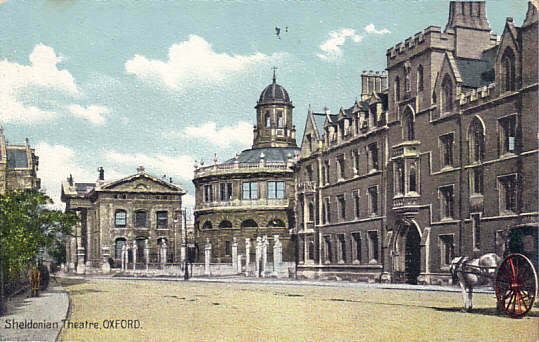 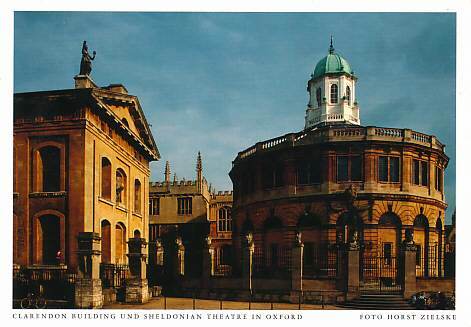 Built 1664-1668 by Christopher Wren, from funds donated by the Archbishop of Canterbury and Chancellor of the University of Oxford, Gilbert Sheldon (1598-1677). 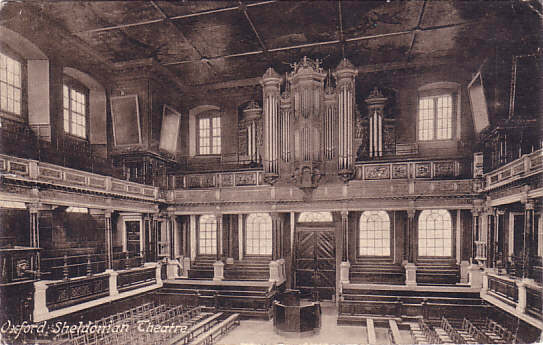 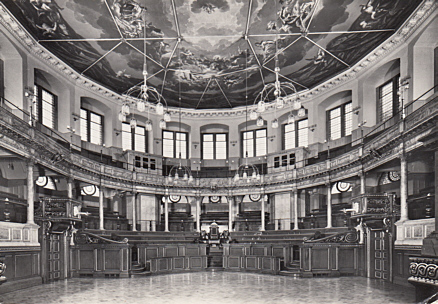 Used as a secular venue for the principal meetings and public ceremonies by the University. 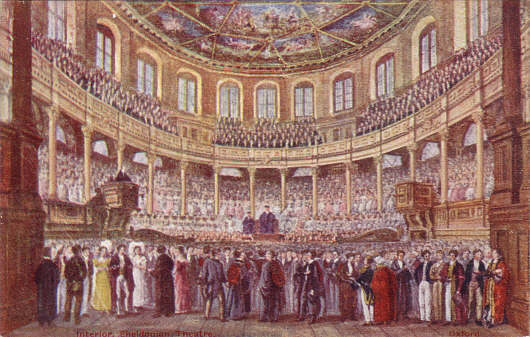 Also used for congresses and classical music recitals. 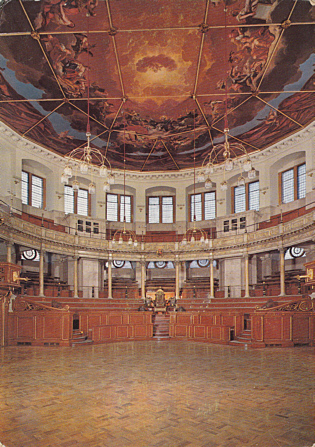 Capacity: 800 seats (concert seating) to 1000 seats (conference seating). 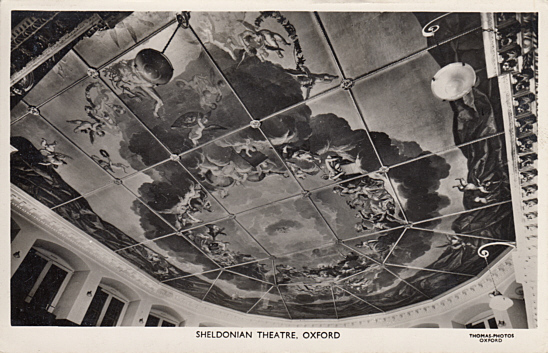 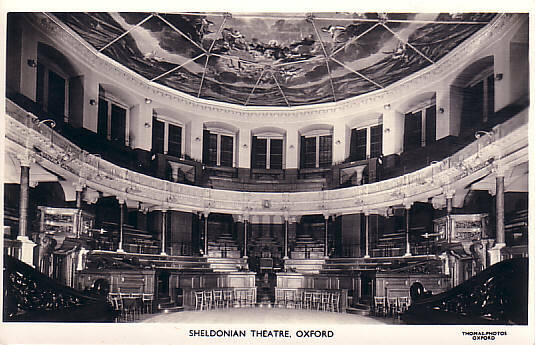 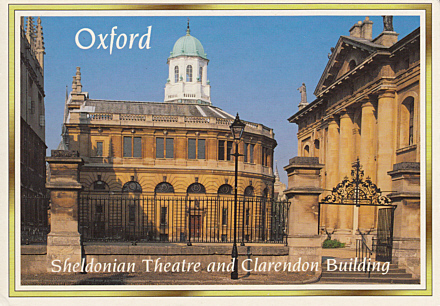 Front Text: "Interior - Sheldonian Theatre - Oxford"
Front Text: "Sheldonian Theatre - Oxford"
Front Text: "Oxford - Sheldonian Theatre"
Front Text: "Sheldonian Theatre, Oxford"
Reverse Text: "Sheldonian Theatre, Oxford"
Front Text: "Clarendon Building und Sheldonian Theatre in Oxford"
Front Text: "Oxford, Sheldonian Theatre and Clarendon Building"
Reverse Text: "Sheldonian Theatre and Clarendon Building, Oxford"